Is it weird to crave something you’ve never eaten before? Has that ever happened to you? 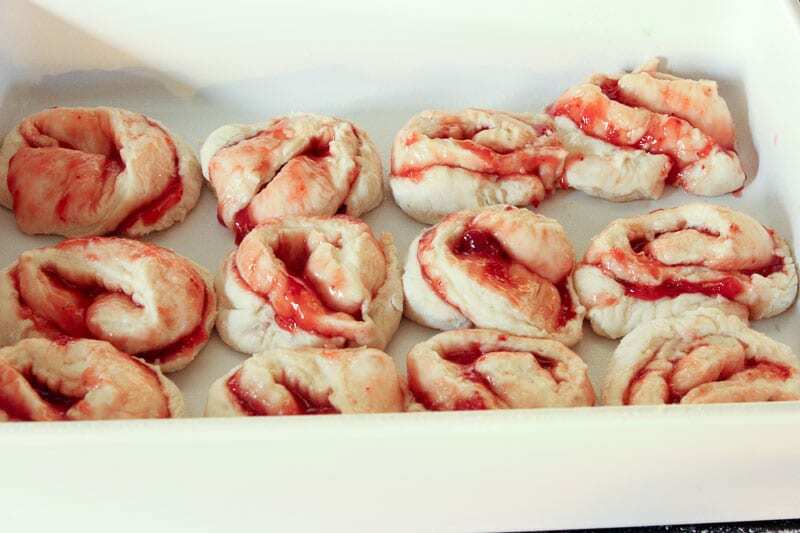 For some reason I’ve been craving “sweet rolls”. 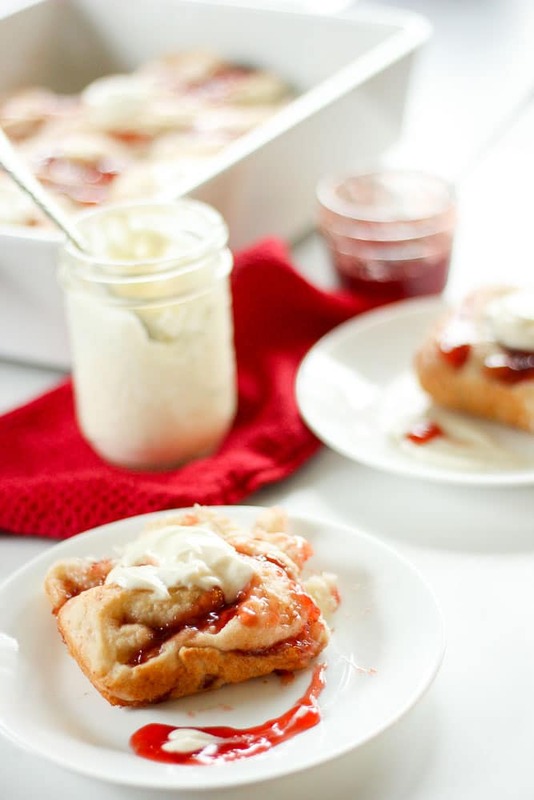 Like cinnamon rolls, almost, but with a really soft, fluffy dough, and more of a fruity filliing. I really love pastries, soft breads, and really anything that goes well with a cup of black coffee. I’ve been doing a bit of baking lately and I played around until I had a fluffy, soft dough that I liked. First I tried a marmalade and cream cheese filling, and while it was okay, it wasn’t really what I was going for. Then I tried strawberry jam and it was lovely. I should have known, since I have SUCH a weakness for jam-filled cookies. 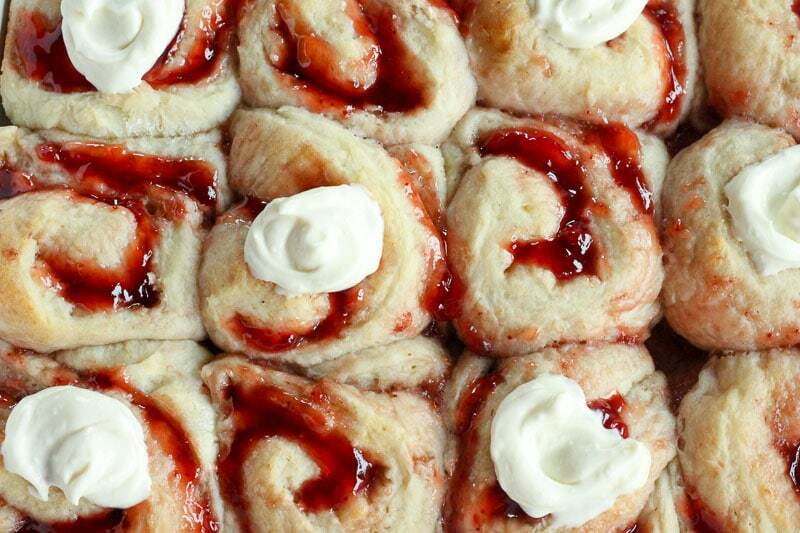 So strawberry sweet rolls it is! With a little dollop of delicious cream cheese icing! So, here’s the thing about baking. I like to bake, but I’m not some sort of amazing professional baker. 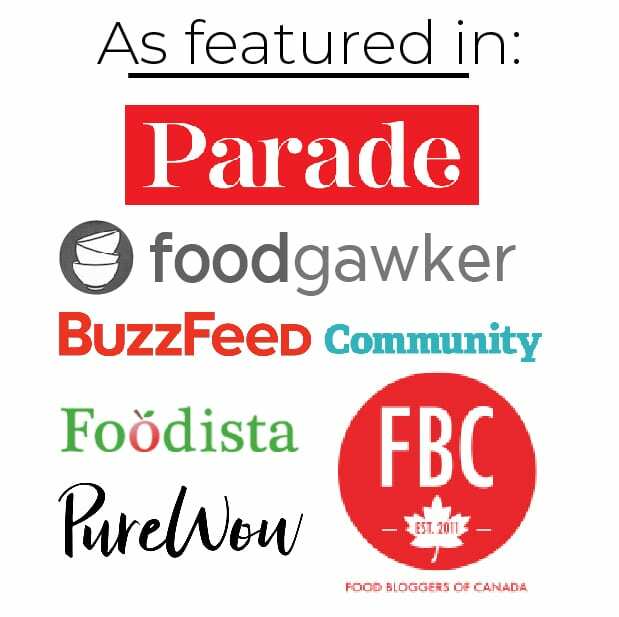 If any of my professional baker friends read this post, I really hope they’ll suspend their judgement of me. I don’t know if I’m following conventional baking rules. I hope we can still be friends! Really, I’m much more of a cook, and in cooking you can be lazy and cut corners and do things your own way, and still have it turn out amazing. Baking is much more structured, and when you fly by the seat of your pants sometimes it works out and sometimes… not so much. 2. Make the rolls, refrigerate them, then rise and bake the next day. 3. Make the rolls, FREEZE them, then thaw, rise and bake them another day! That’s a lot of flexibility, friends, which I think is perfect for this crazy busy life we all seem to live! 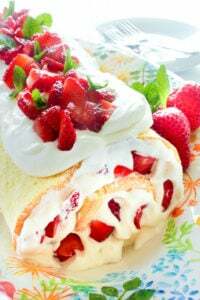 Personally, I’m going to make a batch (they are BIG batches – 24 rolls) and stash them in my freezer in smaller portions. 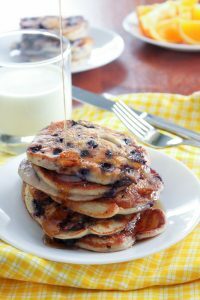 I’ll pull one out on Christmas eve and bake it Christmas morning for an easy and delicious breakfast! 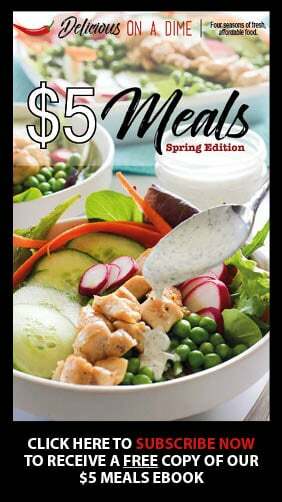 Almost as big a deal – this recipe is make entirely with pantry staples and a few fridge staples! 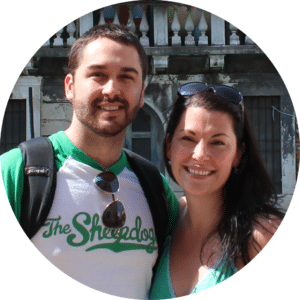 Yay for using what you already have and saving money on groceries! 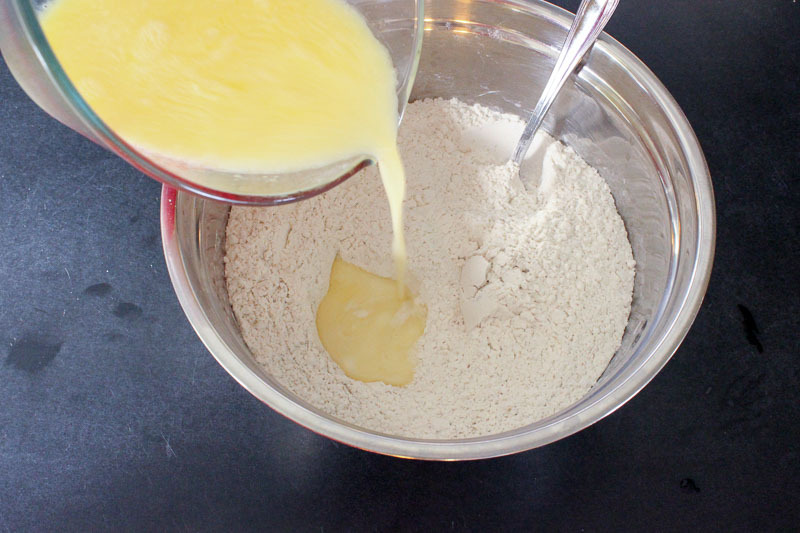 In a large bowl, combine 5 cups of flour, 2 tablespoons of INSTANT yeast and 1 teaspoon of salt. Stir together and set aside. 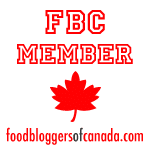 In a small measuring cup, put 1 tablespoon of white vinegar. 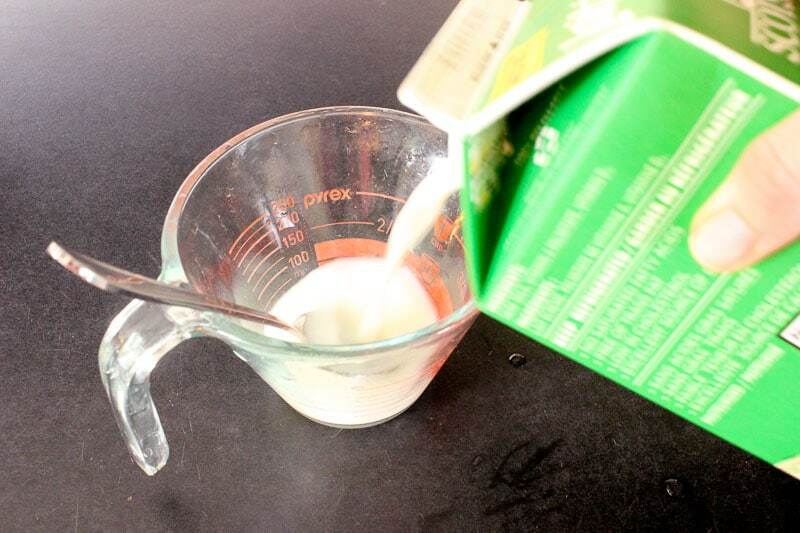 Add enough milk to reach 1 cup. Set aside to let milk curdle (it’s like using buttermilk, except you don’t have to wonder what you’ll do with the rest of the carton). Melt 1/2 cup of butter in the microwave. Mix 1/2 cup of sugar into it. 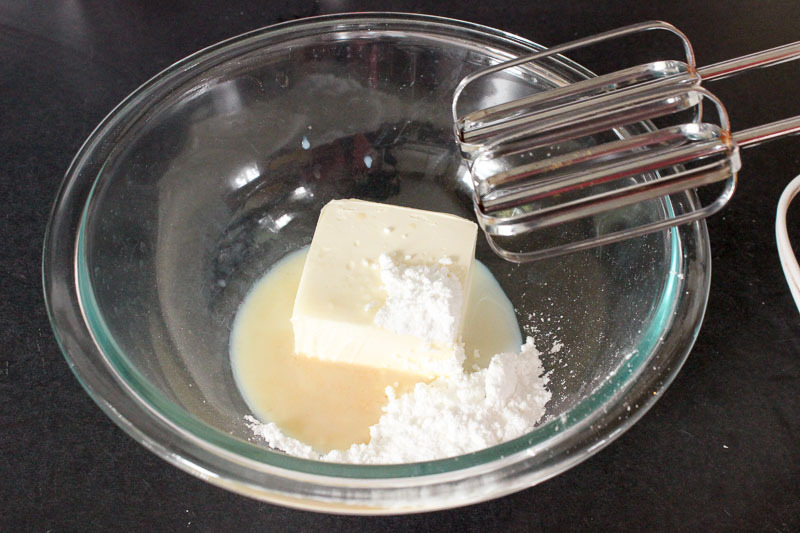 Microwave milk mixture from above and then add it to the butter/sugar and whisk well. 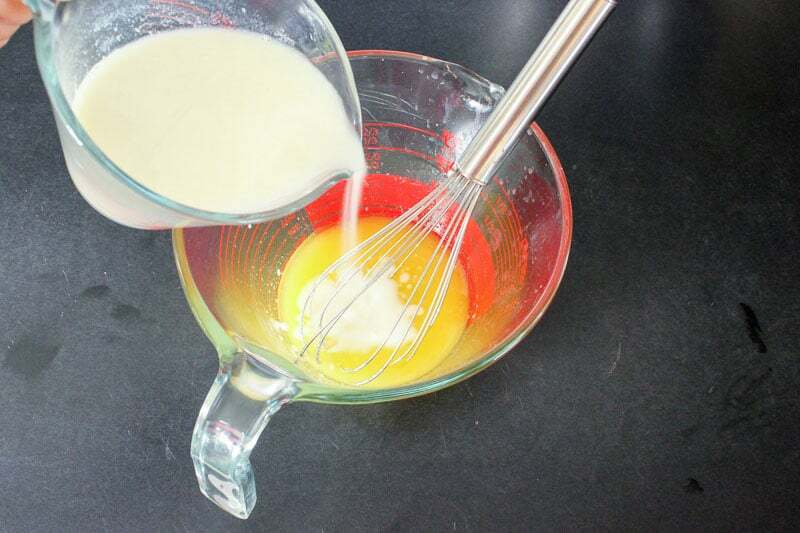 Crack two eggs into the mixture and whisk again. 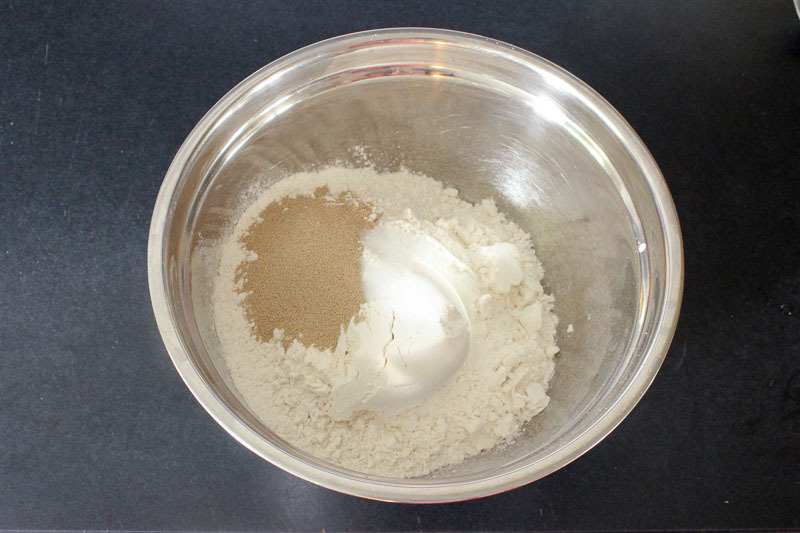 Make sure wet mix is lukewarm (yeast likes warm liquid – not hot or cold) and dump it into the dry bowl. Stir just enough to combine it. 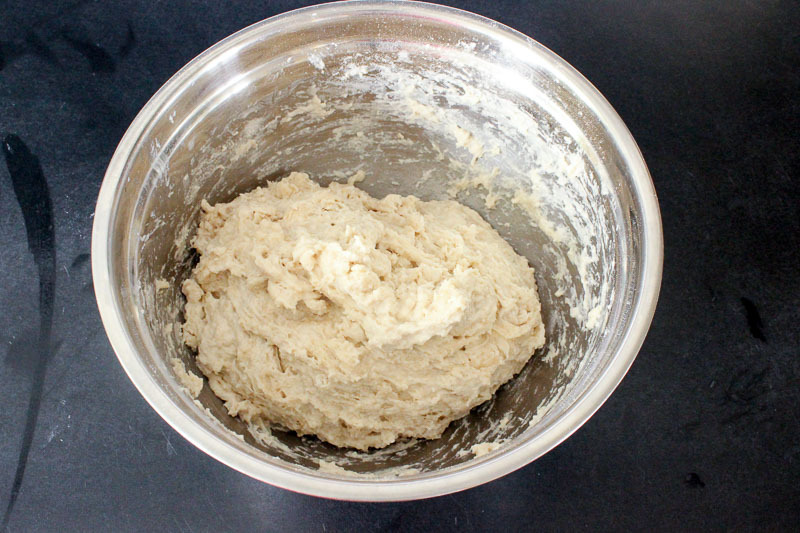 Then fill a small cup with WARM water and slowly add enough to the bowl to make the dough nice and sticky and well combined (but not overly wet). I used just under 1 cup (but this can vary with time of year, humidity and your flour). Cover dough and set it in a warm place to rise for 45 minutes. I like to cover the bowl with stretch wrap and put it in my oven with just the light on (the oven is not on – just the light). 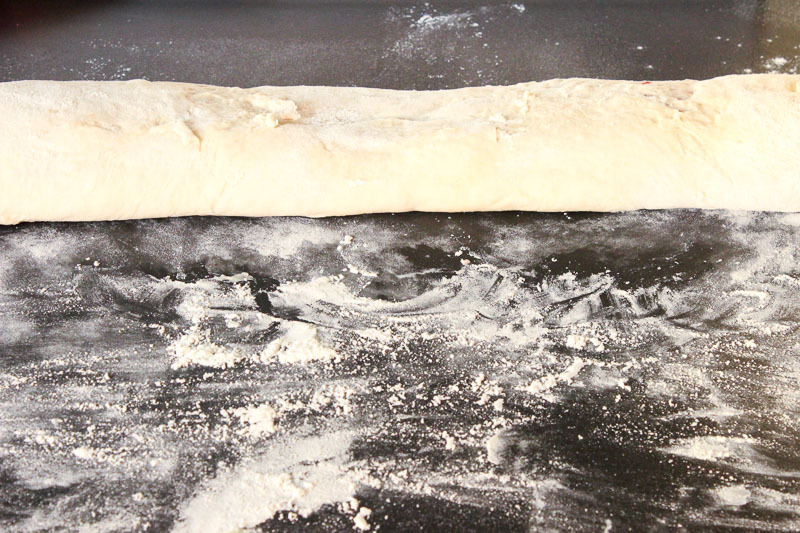 After the rise time, sprinkle some flour on your counter and put the dough on it. 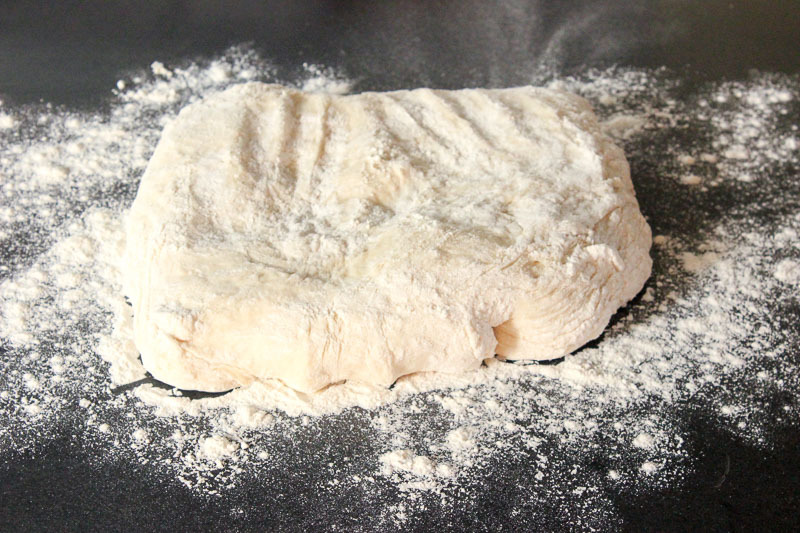 Add a little flour to stop it from sticking and using your hands, gently shape it out into a large rectangle. 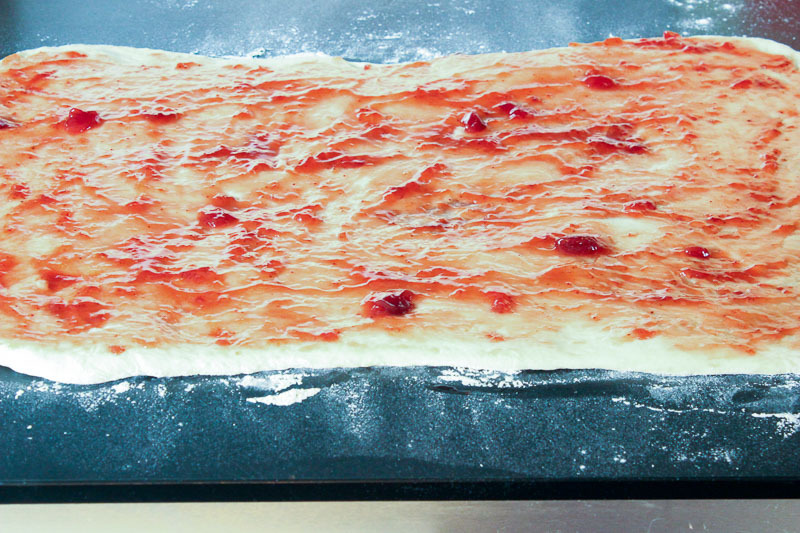 Then use a rolling pin to thin out the dough and make the rectangle bigger. The thicker the dough is, the more doughy the end result will be. 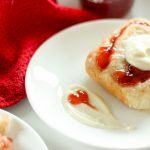 Spread 1-1.5 cups of strawberry jam on the dough. In this batch I used 1 cup and wished I had used a little more. Gently roll up the log of dough. Use flour to help stop the sticking. Then use a very sharp, serrated knife (or unflavoured dental floss) to slice the rolls. I like to flour my knife between slices too (and wipe off the jam). Grease a baking dish or freezer pan. Line up rolls in a the pan. 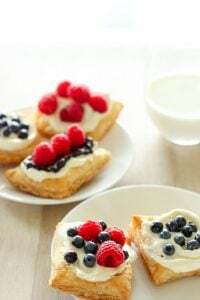 If you’re baking them right away, put them back in a warm place for another 25 minutes while you preheat your oven to 350 degrees F. Then bake for 25 minutes while you make the icing. If you want to FREEZE the rolls, now’s the time. Wrap them up well and freeze until a few hours before you want to eat them – then take them out to thaw at room temperature and bake as described above. If you want to refrigerate the rolls overnight you can do that too. Just wrap them up at pop them in the fridge, then take them out to warm up and rise before baking. Cream 4 oz (half a block) of cream cheese. 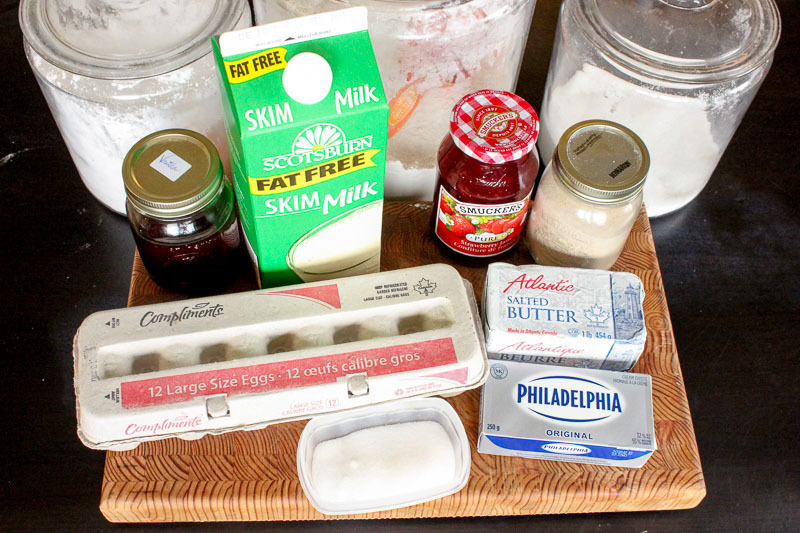 Add 1/4 cup icing sugar, 1/4 cup milk and 1 teaspoons of vanilla extract. 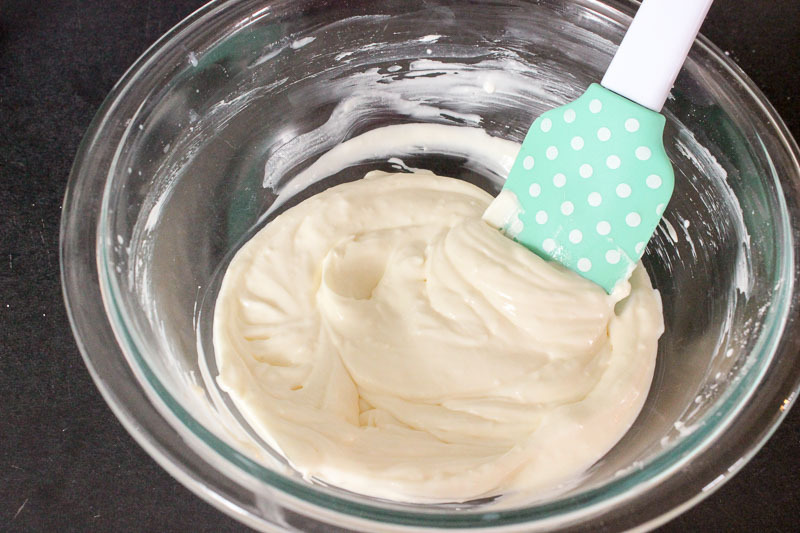 Use a mixer to combine until it’s nice and creamy. 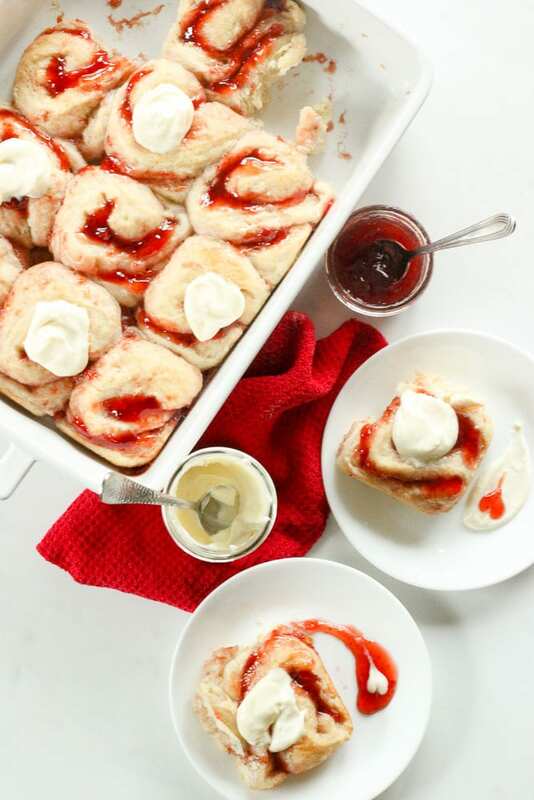 If you want a really bright red jam you can add a little extra to the top of the rolls when they’re done baking. 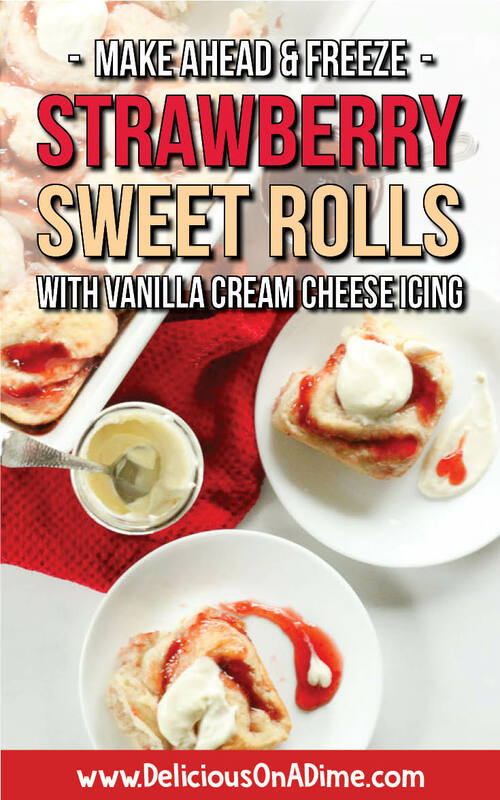 Dollop a teaspoonful of icing onto each strawberry sweet roll.